Integrating automation into a manufacturing operation isn’t for the faint of heart. Though having a standard cobot delivered to your facility might seem like a simple solution for improving your workplace efficiency, we promise that purchasing a robot is often just the beginning of a multi-step process. Here’s how contracting with a robotics engineering firm at the get-go ensures that your business can transition smoothly with its new automation upgrade. An automation engineer serves as a robotics industry expert that can help guide you through the myriad brands, designs, and cost-benefits of each automation solution available. Most importantly, an engineering firm is contracting with you, not a robotics brand, meaning their top priority is providing you with the right automation system, rather than simply selling a product. When you’re looking for an unbiased opinion on brand quality, longevity, and capacity, a robotics engineering firm can provide exactly that. Additionally, some automation brands may appear to oversell their machine, or may not convey their product’s limitations as clearly as necessary for industry outsiders to understand. A robotics engineer will know what a brand’s marketing doesn’t communicate, making them a powerful ally in weeding out the robots that won’t work for you. 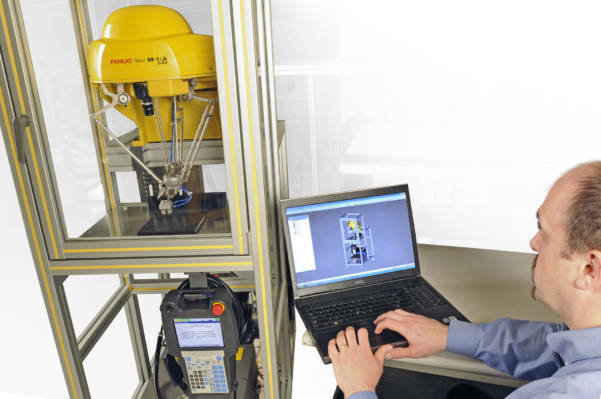 A robotics engineering firm will help you avoid expensive and potentially dangerous mistakes, resulting in less trial and error and a quicker, more efficiently integrated robot. One of the most difficult hurdles in finding a robotic solution is ensuring that the final product will be safety compliant. For example, jobs that require the movement of sharp objects or parts can result in the serious injury of employees working near a cobot, despite cobots being otherwise safer alternatives to industrial models. This is why simply implementing a cobot into your process doesn’t automatically make your manufacturing process safer or more productive, and a robotics engineering firm will be able to tell you when your intended robotic solution will cause more problems than it could fix. Additionally, a robotics engineering firm can also provide the necessary employee training for your new automation upgrade, as well as installation services. This additional guidance ensures that your robot will operate as intended, and that your staff will know how to run it most effectively, leading to faster, more accurate production. The sooner your automation upgrade can start paying for itself free of implementation hiccups and safety crises, the bigger your ROI. Overall, it’s both safer and more cost-effective to bring in the experts when integrating robotics into your manufacturing process. To learn how CNC Solutions provides our customers with unbiased guidance, training, and custom engineering as an automation engineering firm with a reputation for excellence, connect with us via our chat box or the Contact page.